Special thanks to friend and neighbor WFerguson for sharing with all of us Mr Donald James Banyard copies of his MRS unit's history. 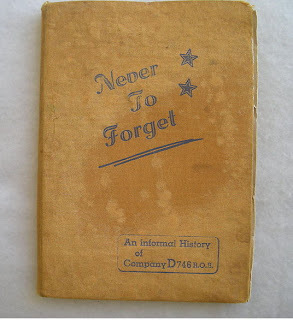 Below you will find a scanned pdf of Never to forget : an informal history of Company D 746 R.O.B and a scanned image of the original. 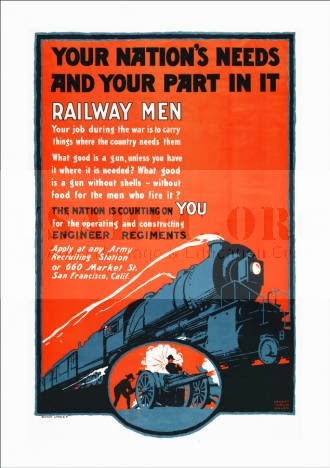 This entry was posted on 9:11 AM and is filed under 746th Railway Operating Battalion , Unit History . You can follow any responses to this entry through the RSS 2.0 feed. You can leave a response, or trackback from your own site. My Uncle, Alfred E. McInnis (1921-2012), wrote the book: Never To Forget: An informal history of Company D 746 R.O.B. -- He worked the Maine Central RR his whole life, starting as a newsboy in Eastport Maine, until a forced retirement... I helped him compile his stories about the men of the MeC... He loved the machinery of course, but he was always disappointed that most stories are about the machines and not the men who worked them. I think it started with this book about his ROB.